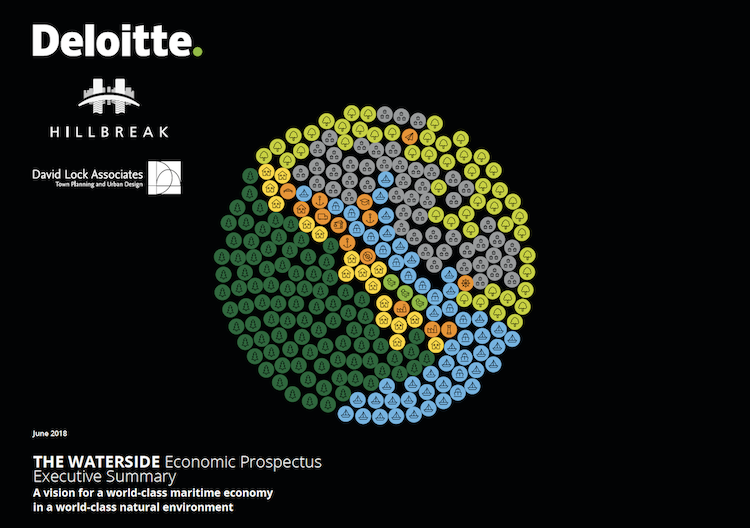 Produced by Deloitte and Hillbreak, supported by David Lock Associates, on behalf of a consortium of major landowners, this radical Prospectus conveys the national imperative and compelling local benefits of harnessing the full potential for maritime and port development, community renewal and environmental enhancement on the Western shores of Southampton Water. The Waterside – an area along the west coast of Southampton Water, from Totton to Calshot – has the unique potential in the UK to play host to and drive the growth of a world-class marine and maritime economy at the heart of a world-class environment, framed by the iconic landscape of the New Forest and the dynamic coastline of the Solent. The Waterside is home to an extraordinary portfolio of internationally significant assets and infrastructure critical to the competitiveness of the UK, but its full potential to underpin the wider sub-regional and national economy is not being realised. In fact, in employment, resident population, school enrolment, mobility and housing terms, the Waterside is in decline. There are also significant pressures affecting the natural environment. Paradoxically, the Waterside’s rich vein of natural and commercial assets are internationally recognised and important. These include, crucially, the Port of Southampton and the New Forest National Park. Together, these assets underpin a unique opportunity to deliver an innovative and transformative investment programme, funded by the public and private sectors, to create thousands of jobs and reverse the fortunes of declining communities. There is a unique opportunity here; an opportunity which, if grasped by central Government and local partners working together, could have a profound effect on the UK’s international trading and industrial prospects as it prepares to leave the European Union. 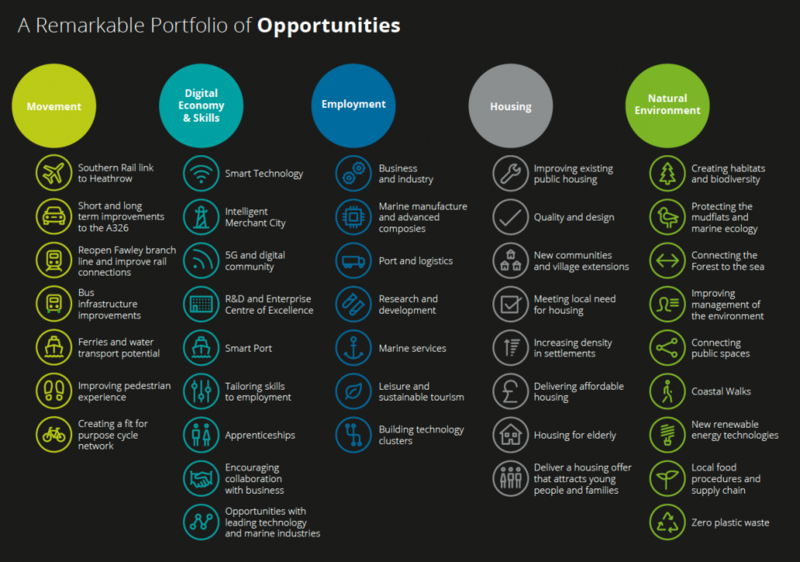 The effective and timely delivery of this here-and-now opportunity should, therefore, be a national priority and firmly embedded in the Government’s Industrial Strategy and 25 Year Environment Plan. This potential will only be realised if partners work together to drive identified priorities to ensure the effective delivery of the vision. 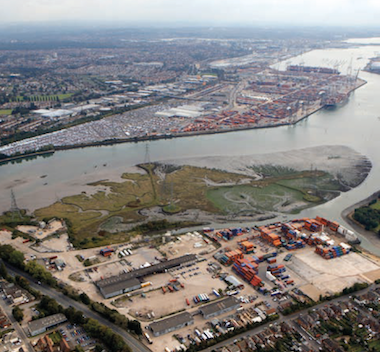 The scale, importance and urgency of the Waterside opportunity has inspired Associated British Ports, Barker-Mills Estates, Fawley Waterside Limited and Solent Gateway Limited, owners of crucial assets within the Waterfront, to come together with ExxonMobil, New Forest District Council, the New Forest National Park Authority and Hampshire County Council to develop a shared vision for the Waterside. With effective partnerships and strong leadership to prioritise action, attract investment, and orchestrate stewardship, the responsible economic growth of the Waterside would be of significant benefit to the nation and residents living locally. It would make a major contribution to the Government’s long-term Maritime 2050 ambition by helping to make the UK the best place in the world to conduct maritime business. For this to happen, central Government needs to play a full and collaborative role and is urged to do so. celebrating hidden heritage and potential jewels as part of a wider enhancement of the ecological and cultural network. 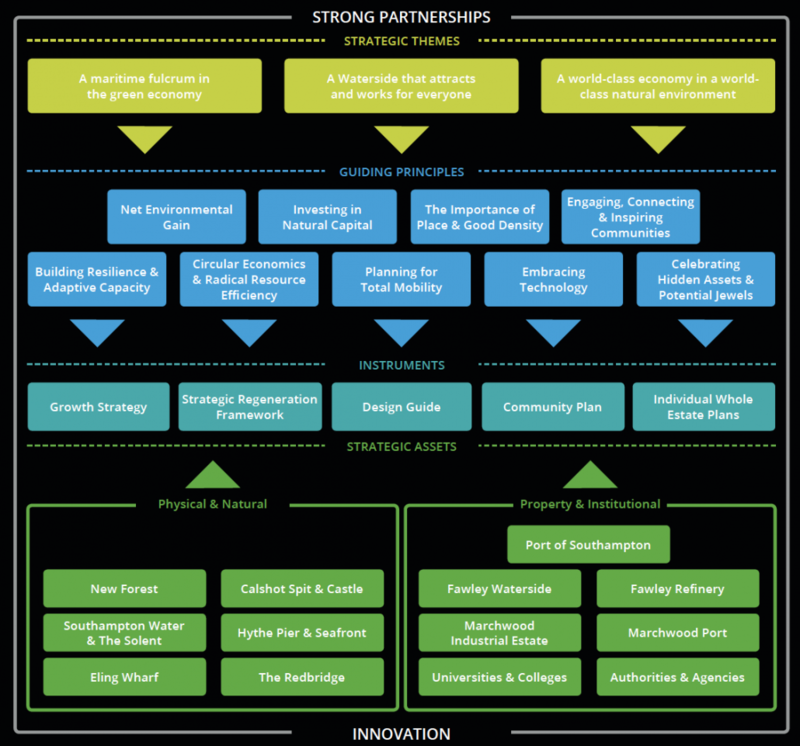 To understand more about the vast opportunity in the Waterside and how partners are collaborating to take this forward, you can download the Executive Summary of the Prospectus below below. For a copy of the full Prospectus document, or a higher quality version of the Executive Summary with photographic images, please contact us.